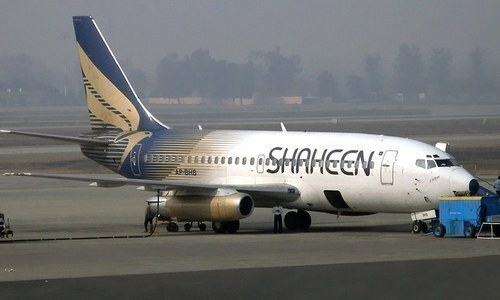 Chief Justice (CJ) Saqib Nisar on Tuesday ordered Shaheen Air International (SAI) to pay damages to its affected passengers who were left stranded in Guangzhou, China, after the Civil Aviation Authority (CAA) suspended the airline's flight operations. A three-member bench, headed by CJ Nisar and comprising Justice Umar Ata Bandial and Justice Ijazul, was hearing the case regarding the SAI passengers in China. "I am placing your name on the ECL. You can't go abroad before paying the damages," the chief justice told SAI Chairman Ehsan Sehbai. On July 29, the SAI flight to Guangzhou was cancelled after the Civil Aviation Authority (CAA) had suspended the airline's flight operations, except Haj flights, because of non-payment of its dues of over Rs1.5 billion. Over 300 passengers were left stranded at the Chinese airport. Later, some passengers were refunded their tickets, while some others were transferred to hotels and provided food, etc. 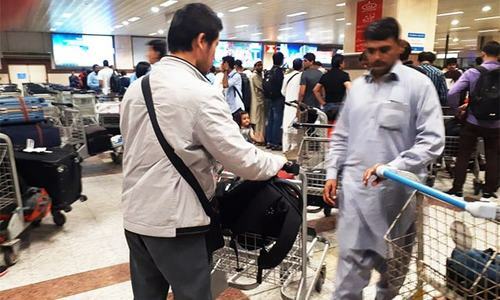 The remaining 214 passengers of the airline had remained stranded in China for almost nine days, eventually returning on Monday after Chief Justice Nisar ordered immediate repatriation of the passengers. The CAA had given special permission to the SAI to send a plane to bring back the passengers. During today's hearing, the counsel for SAI held the CAA responsible for the plight of the affected passengers. The CAA just halted the air operations all of a sudden after issuing a warning, said the lawyer, alleging that the airline was facing discrimination. SAI Chairman Sehbai told the court that the airline would reimburse the expenditures to the affected passengers and pay an additional amount of Rs5 million. To this, the court said that each affected passenger would receive Rs25,000 only which is not enough, directing the airline to pay an additional amount of Rs20m. Sehbai said that he would inform the court about the additional amount after consultations. The top court ordered authorities to place the name of the airline's chairman on the Exit Control List (ECL) until SAI pays its affected passengers. Teaching a lesson to the high and mighty ones is the only way to bring them to their senses. Good and timely decision. Please ensure its implementation in a given time period. Make it a special case and not a precedence to become a rule. Thats the only way to fly. These private airlines deserve heavy fines to dicipline them - no more rich fast on people misery. IK and SN will fix all corrupts in Pakistan while Army protects our borders. Great decision to protect the general public from the sahbby treatment by the well connected private business. The decision is one sided not considering the causes of this inconvenience to passengers. It was the stubbornness of CAA that causes this, and the Honourable judges declare only one party, the bankrupt airline as responsible. Poor judgment to say the least, little FairPlay visible. CAA was right in demanding payment of dues. 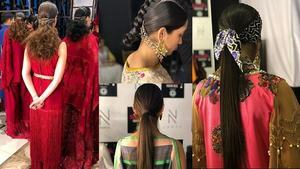 There is insufficient protection for consumers in every industry in Pakistan. CAA should tighten the rules regarding air line irregularities, like delays (not related to weather), lost or misdirected luggage, bumping of confirmed passengers, over booking, fines for missed connections, collusion and price fixing between air lines, overcharging on domestic routes, poor aircraft maintenance practices.